About a 2-inch or 3 inch diameter 360-degree full loop, so it can vibrate easily, and contract back and forth, without putting strain on the end fittings. Just look on ebay for farmall h gas line, you;ll see a picture. Ok another dumb question. Flare the end or use a compression fitting. I say dumb because I used to know the answer but cant remember. I managed a napa 2 years ago and now work strictly in auto paint and can tell my mind is transitioning knowledge. Excellent question. 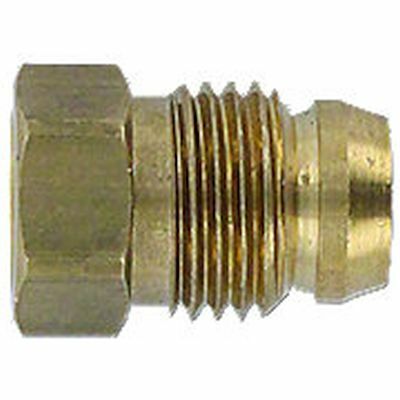 I used compression ferrule fittings, with 5/16 OD tubing, because that's what came with the tubing I bought for my H Farmall, from this site. I suppose it is the right stuff. I think it would be difficult to flare 5/16 OD tubing. (quoted from post at 07:24:51 03/13/19) Ok another dumb question. Flare the end or use a compression fitting. I say dumb because I used to know the answer but cant remember. I managed a napa 2 years ago and now work strictly in auto paint and can tell my mind is transitioning knowledge. 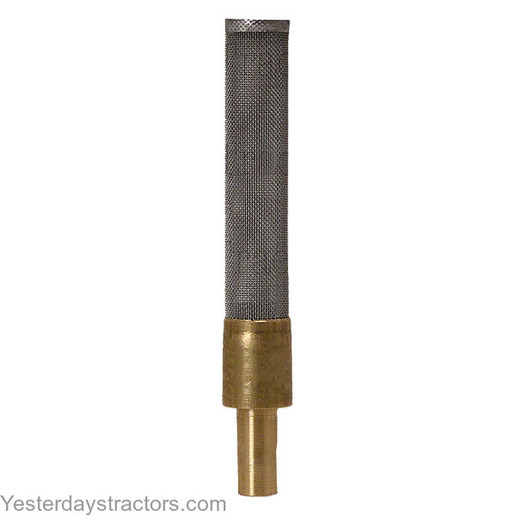 This is the special fuel line nut with attached compression sleeve IH typically used, current part # 222-503. If this is what your tractor originally had, the sediment bowl and the carb inlet fitting are made to accept this special nut. LOTS of sources, from the FIAT dealer to the 'net. I have always just had a short piece of steel line on each end and then a piece of rubber fuel line. You should always shut off the valve at the sediment bowl anyhow, so if something damages the fuel line it won't all leak on the floor. I have never had a problem doing it this way. In the case of a fire a steel line would be better, but if you keep the tractor clean there isn't much to burn. I got a bender, fuel line should be here tomorrow, and sediment bowl is ordered says 7 to 10 days. I have the fitting to go into the carb off the old line I'll need one to go into the bowl. What's on it now is rubber hose to an in line filter then rubber hose to a section of steel into the carb. (quoted from post at 04:02:17 03/14/19) I got a bender, fuel line should be here tomorrow, and sediment bowl is ordered says 7 to 10 days. I have the fitting to go into the carb off the old line I'll need one to go into the bowl. What's on it now is rubber hose to an in line filter then rubber hose to a section of steel into the carb. If the fuel inlet filter is in place in the carburetor, and the sediment bowl is correct, you do not want or need that inline filter. If your fuel tank is nasty with rust and crud inside (or even if it isn't) I recommend a fuel tank screen that goes in the top of the sediment bowl. YT sells them and its the best money I've spent on my 450. It causes the fuel intake to be about 2 inches above the bottom of the tank, avoiding all the rust, crud, other debris. Ok, maybe an inch instead of two, but you get the idea.